There are very few places where you can see the humpback whales eating, opening their huge mouths to catch the herring. And it is much harder still to be able to photograph them, because they appear where you least expect them. You need a lot of patience and a bit of luck. This time we were near Tromso, Norway, where they large herring beds concentrate in November that attract these whales and many killer whales. The light was very low at that time of year but we managed to take a photo just after they closed their mouths, full of herrings. would provide a good view of the valley and the imposing walls of the bottom, where just then appeared some clouds. The magnificent tree in the foreground put the point of interest to this image. A warm summer morning we strolled through the streets of Brihuega (had gone to see the lavender fields), and arrived at a flea market. We were behind the stalls, in the shade, and I realized that one of the stalls had a very light and sun protective transparent black fabric. 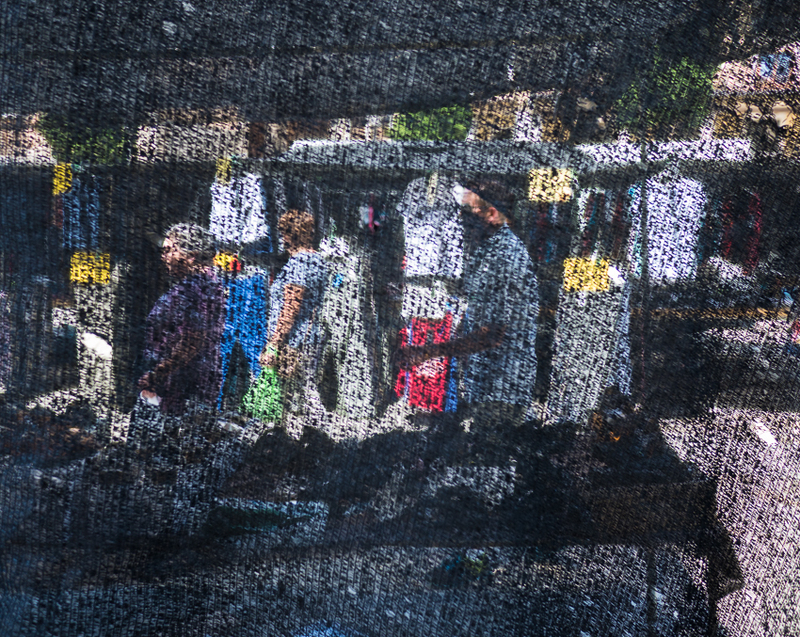 The tissue left to see the people walking among the stalls, and I found a scene of great graphic power. In these days of computer-manipulated images too, it is interesting to see a picture like this without any computerized effect. 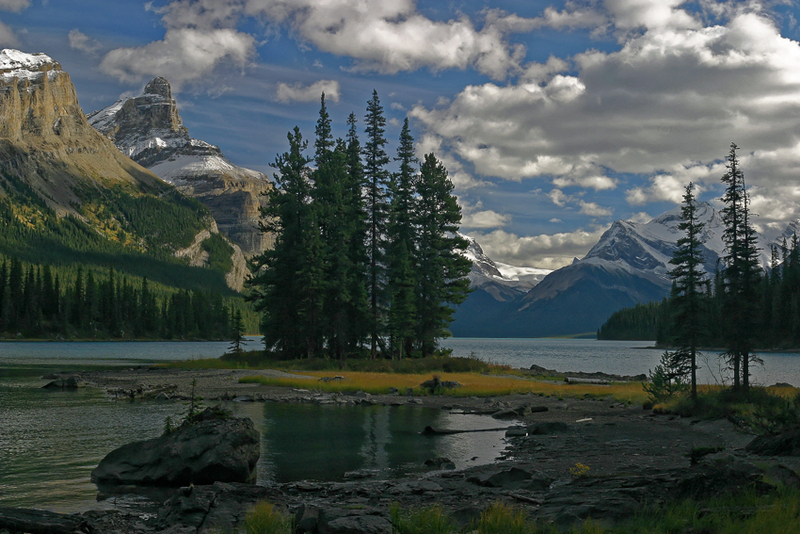 On a trip to Canada in 2003 we had the opportunity to see this place called Spirit Island, at the end of Maligne Lake in the Rocky Mountains. 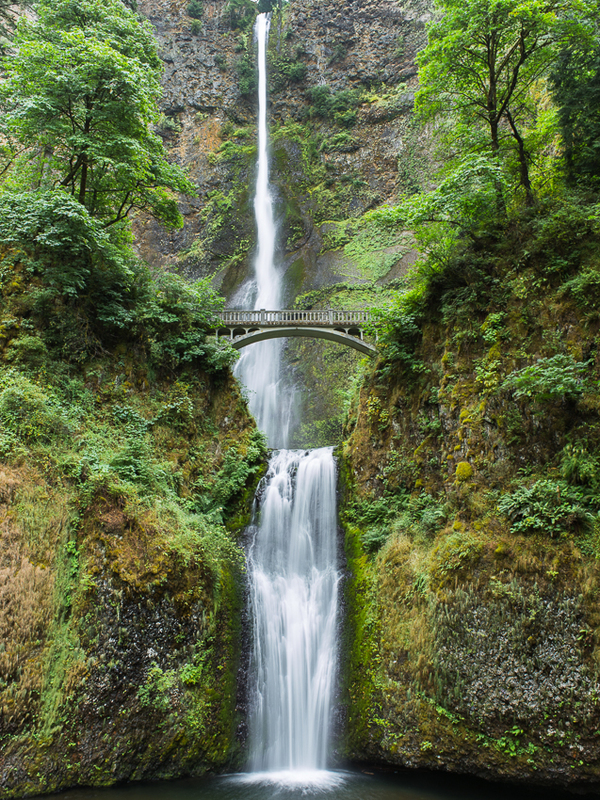 It is one of the most photographed places in those mountains and anyone who has been there quickly identifies this place. The problem is that the contrast was very high and we had to underexpose too much to don't burn the highlights, so that the shadows were almost black. In that year the cameras had a resolution of "only" 6 Mpixs, and a very small dynamic range. In addition, applications to develop RAW files were not very sophisticated. Fortunately, 13 years later we have very powerful applications such as DxO Optics Pro, and you are able to recover imperceptible details of your old photographs, and give them a new life. It is worth to reprocess our old photos, those that we liked but may not have an acceptable quality, to give them a new opportunity. On a trip to the US state of Washington we had the opportunity to see beautiful fields of lavender in bloom, a unique experience for the senses. In late June we discovered that in Brihuega, Guadalajara, Spain, we also have lavender fields so there we went on a July weekend to enjoy the show. The problem was the heat, because in that month temperatures rise to over 35 ° C and you have to use the first and last hours of the day to go out and photograph, and use the hottest hours of the afternoon for siesta. This image is made just after sunset, when the colors are softer and there is no people in the middle of the fields. We wanted to give the impression of depth and entension fields and, of course, the intense color. 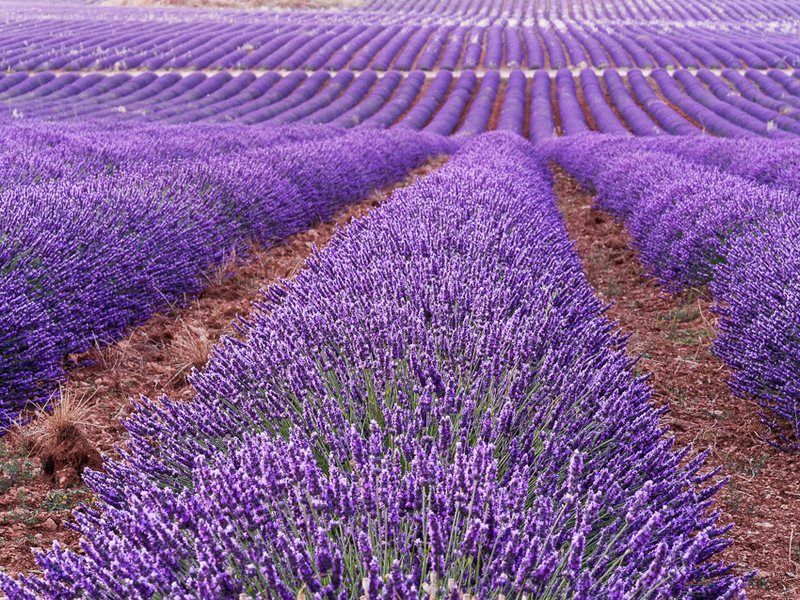 What we can not convey here is the intense smell of lavender. 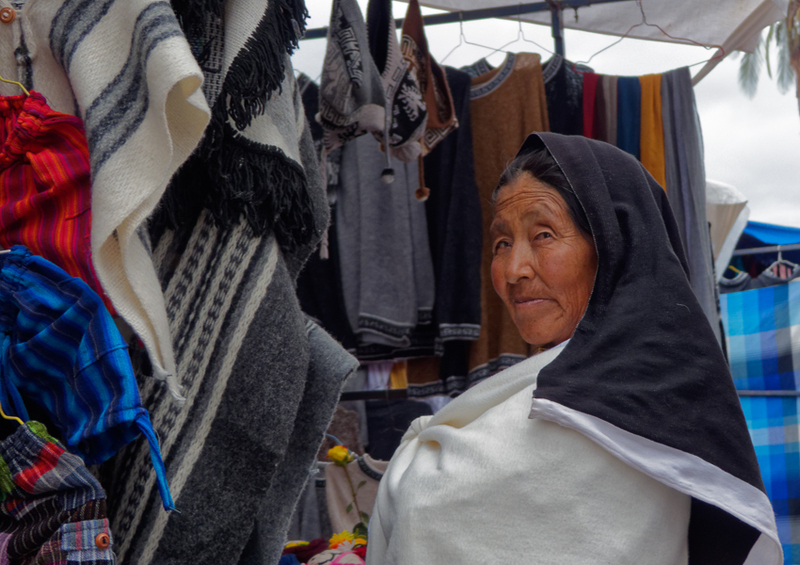 If you travel to Ecuador you must visit Otavalo market: the colors and people are mixed in a panoply of objects carefully placed, willing to be bought by locals and tourists. I loved the Indians, with those clothes so colorful and appropriate for that climate, and that local language I cannot understand a word. But what really attracted my attention was their faces, tanned by the wind, and that intense gaze that hypnotize me. This lady was in one of the stalls, but backwards. I prepared my camera just in case she turned to me, and when she turned I took the photo. It was just one opportunity, then immediately turned back. But that look was captured forever in this image. In Spring we can not overlook the beauty of flowers, being the best time for macro photography. 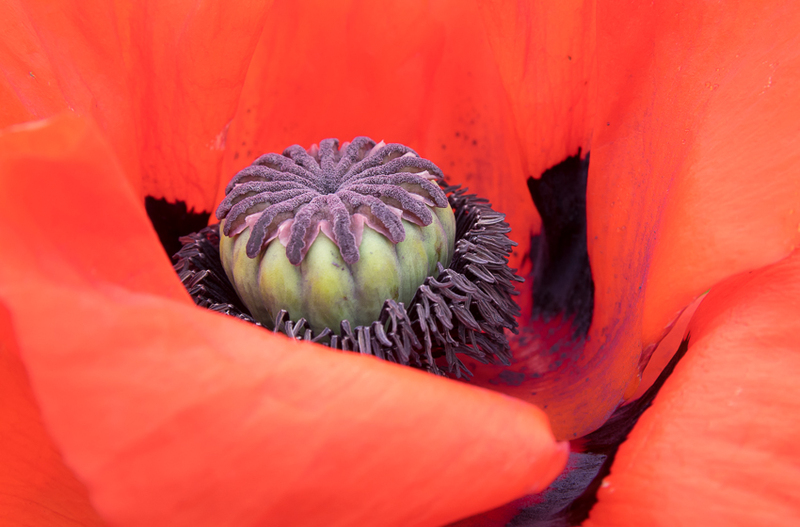 Poppies are especially attractive for their intense red petals. In this image we wanted to highlight the flower center, surrounded by a halo of soft petals. The diaphragm at f/8 guaranteed that the petals remain unfocused. As we had no tripod, it was windy and cloudy (regular time in Scotland) we had to use a high ISO for the flower not moved out. One of the most grateful subjects to photograph are tropical birds: most have some vivid colors though they are not always easy to photograph. This time we were in Ecuador, in the Bellavista Cloud Forest Reserve. It was getting dark and it was raining heavily, so the ambient light was very low. 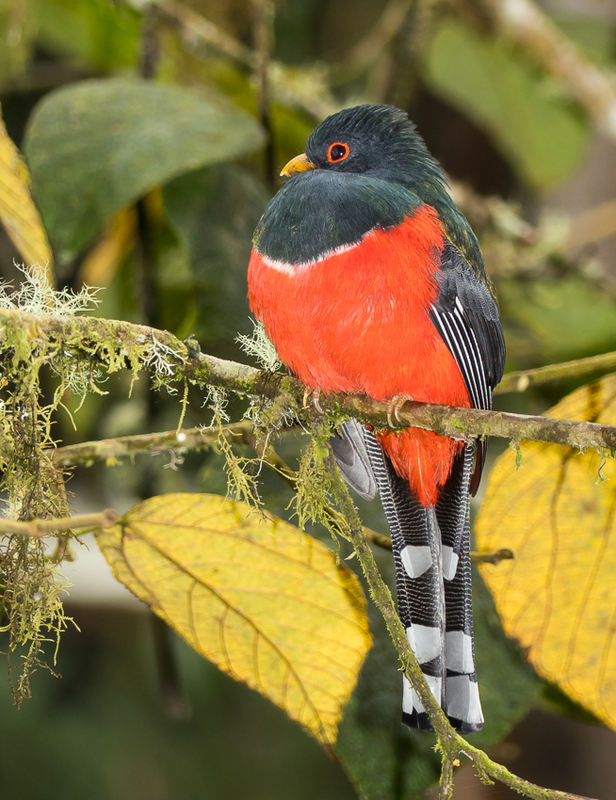 Then we saw this bird right off the dining room of the lodge, a magnificent masked trogon male (Trogon personatus). We approached quietly, not to scare it, but it seemed very quiet. I took some pictures with ambient light but had to use a very high ISO in this camera and this poses an unacceptable noise. I saw another photographer using a flash and the bird was not scared so I went to get mine to take pictures with low ISO and get a good image quality. See volcanoes in Ecuador, especially in the rainy season, is very difficult because they are always covered by clouds. You have to get up at dawn and hope to get lucky. This time we were on the lookout of the Reserve El Angel, north of Ecuador, at 3,600 m above sea level. 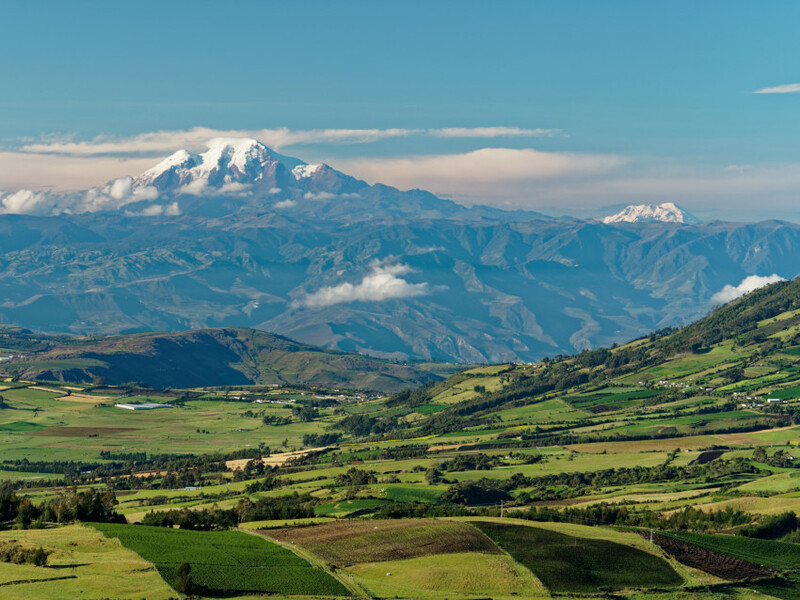 The day dawned clear and we could see the majestic volcano Cayambe, and more distant at right, Cotopaxi. The sun illuminated the fields of the fertile valley, heightening their geometric shapes. Shortly after, the clouds made their appearance and completely covered the view of the volcanoes. For this image I use the high-resolution function of the camera for greater detail (40 Mpixs). The first time we saw this waterfall there were many people on the bridge (it was high season) and we did not like the multitude of colors of the tourists clothes. So we decided to come back very early next day, so there was no one more than us to take the shot we wanted. We were lucky and only when we went to breakfast the first tourists appeared. Sometimes you have to make certain sacrifices to achieve the photo you want. Sometimes you do not have to go very far to find beautiful landscapes. In this case we were on the shore of the reservoir of Pinilla, in Valle del Lozoya, Madrid, waiting for the sunset. When the sun set everything was gray and looked like one of those days where you have to go without making a single photo. However, we decided to wait a little longer. 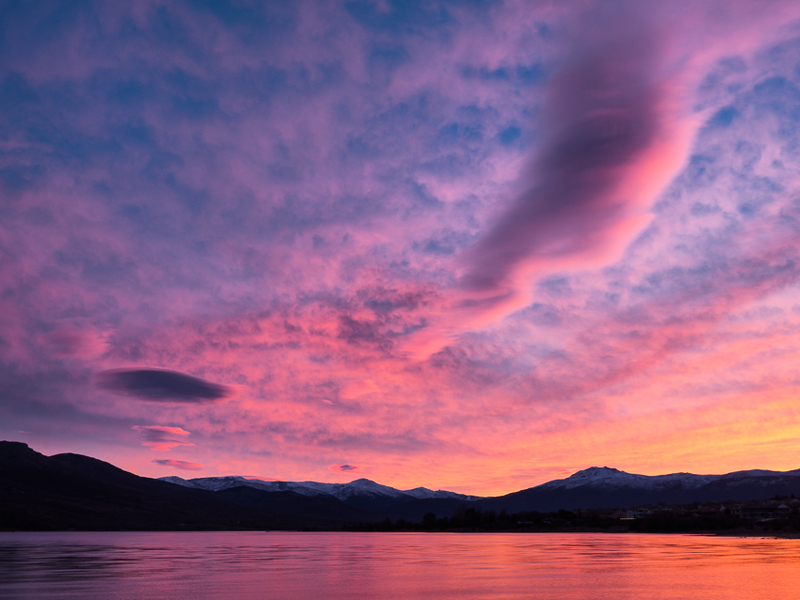 Suddenly the sky began to be painted with warm colors, and for a few minutes gave us a wonderful show. We started 2016 with a photograph taken in Bhutan, in Paro festival. We were in the monastery of Paro enjoying the dances and music when I noticed a grandstand full of spectators. 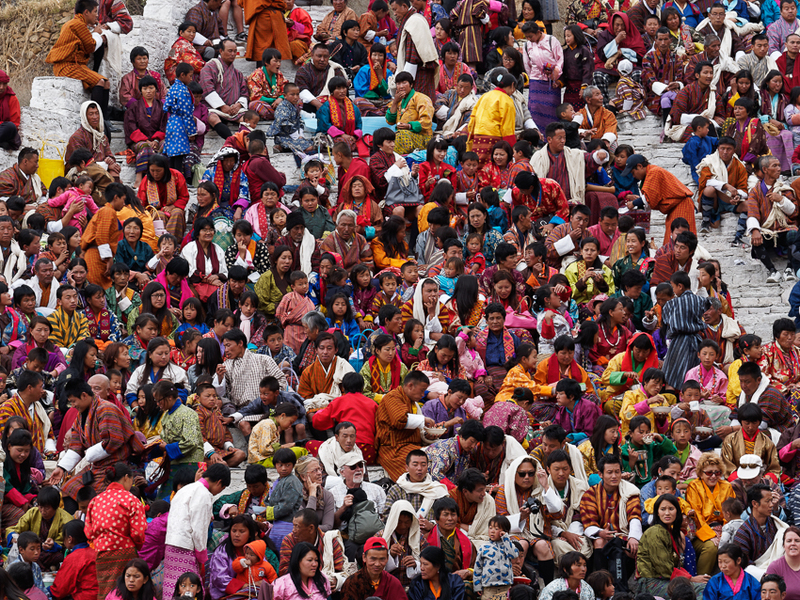 Most were citizens of Bhutan, of very different ages and dressed in bright colors; but there were also some tourists camouflaged among the crowd. I took the picture but did not pay more attention. Now, reviewing these pictures, I realized the amount of detail that has this image: colors, faces, expressions. I think is an example of diversity, fun, joy of living.